When asked what they could do with funding from business academy sponsor Nestle, Teacher in Charge of the Health Sciences Academy, Nicole Stevens and Alumni Liason Manager Leanne Gibson dreamed big. A Healthy Living programme that could be run over a whole term was born. 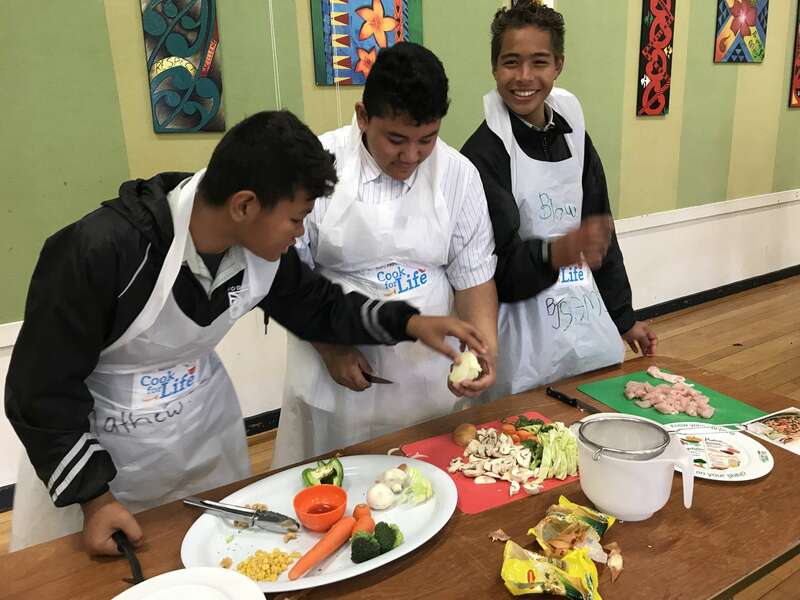 Taha whānau – social well-being. Taha Wairua – spiritual well-being. 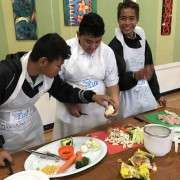 Acitivities included Nestle’s Cook for Life programe, provided for around 500 Year 10 students working in groups of 60 in the Hall. 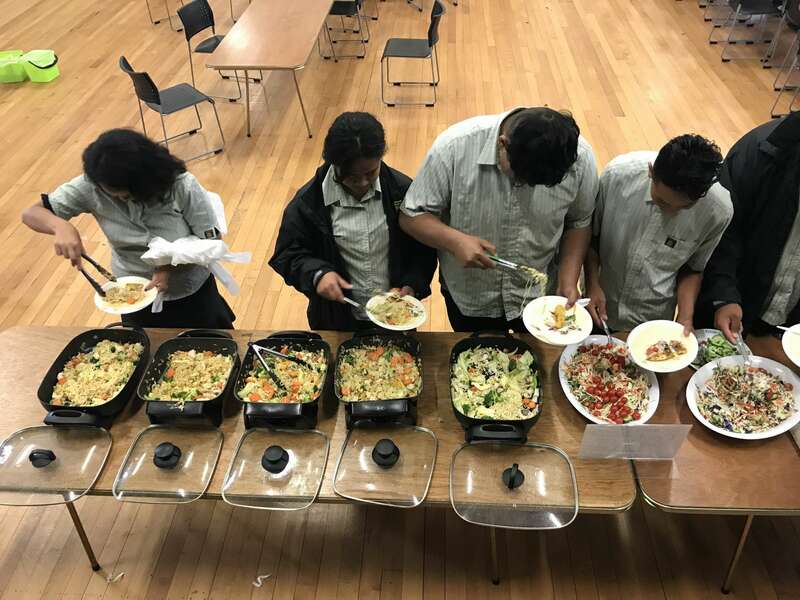 Lunch-time activities so far have been student-led sports games, zumba and dance sessions, kindness rocks, spoken word poetry and jam sessions in the Whare. A Book Club has also been created in the library. The annual Health Expo explored sexuality and Maths Week involved healthy food label and recipe questions. Still to come this term are old school games (games teachers used to play when they were at school), martial arts, kick boxing and basketball tips and tricks. There are also planned sessions on positive body image, religion & me and cultural dance and games. Please feel free to contact Nicole Stevens on [email protected] if you have a service you would like to promote in the healthy living genre.